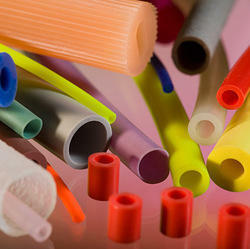 We have emerged as the leading manufacturer, exporter, and supplier of wide variety of PTFE Sleeves. These Sleeves is designed by our adroit team of technocrats using premium quality components in conformity with the international quality standards. The offered range is available in various technical specifications as per the variegated needs of clients. Clients can avail the offered Sleeves from us at the most affordable price range.We have supplied Sleeves for ISRO, BEL, NPCIL, DRDO, BARC, HAL, CEL, BHEL and many of the PSU's.Our sales volume has definite proportion in Indian Market. 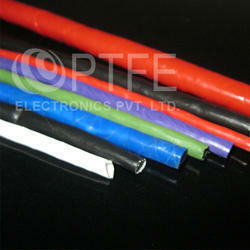 We are offering ROHS Approved PTFE Sleeves to our clients. 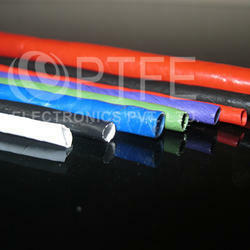 We manufacture PTFE Rubber Sleeves in varied sizes as per client’s requirement. It is unaffected by most water-soluble materials. It has excellent flexibility (can be stretched as well as compressed). It is non-reactive to body tissue and fluid. Due to optimum strength, compact design, perfect finish and durability, this Silicone Transparent Tube is highly demanded in various industrial units. We are already supplying our Silicone tube to various Dairy/Pharma/Chemical industries. We are offering Electrical PTFE Sleeves to our clients. We are offering LCSO Approved PTFE Sleeves to our clients. We are offering LCSO Approved Teflon Sleeves to our clients. We are offering PTFE Sleeves to our clients. We are offering Teflon Sleeves to our clients.